If you were able to sit in on a scouting meeting in the NHL, it is highly likely that the type of player that you would hear discussed as a want or a need for nearly every team in the NHL would sound a lot like James van Riemsdyk. Since he began turning heads during his time at the University of New Hampshire and as a standout star for the US National Junior Team, James has continued to mature both physically and mentally as a player, becoming a prized asset for the Philadelphia Flyers. His blend of size and offensive wherewithal are attributes that all coaches and GM’s covet for their teams. For James, at only 22 years of age, and with the Flyers seemingly remaking and loading up their lineup, the future looks very bright for the New Jersey native. Since leaving New Hampshire following his sophomore year of college, James has continually impressed with his ability to play the game at the professional level. He made his initial jump to the Flyers organization during the second half of the 2008-09 season, when he suited up with the Philadelphia Phantoms and performed well for the AHL team. 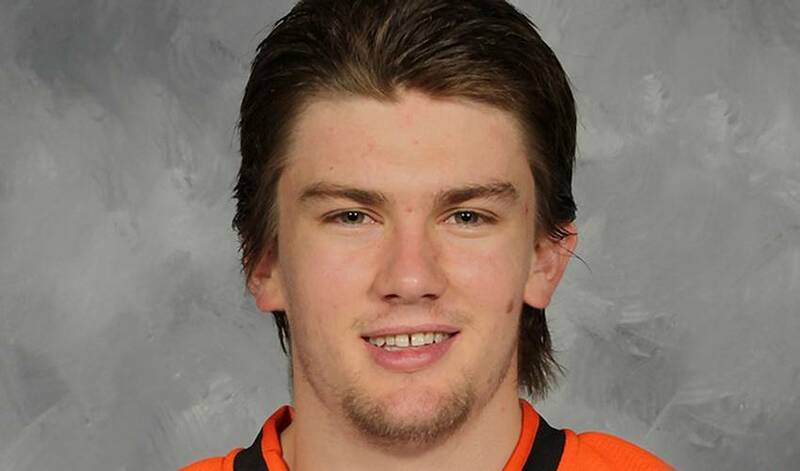 James then arrived at the Flyers training camp in 2009-10 and was a determined force in the pre-season. His play made it impossible for the Flyers to send him down and he launched his NHL career from that point forward. In his first two seasons in the league, James has begun to find his scoring touch, registering 75 points in his first 153 NHL games. There is no doubt that he is going to be counted on by the Flyers to continue using his frame and scoring touch to take the team to the next level.